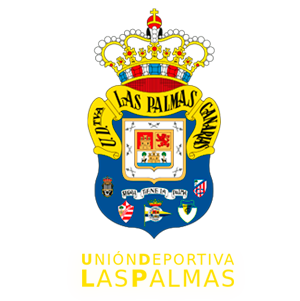 UD Las Palmas went down to defeat today against Real Mallorca (1-2), losing their unbeaten home record at the Estadio Gran Canaria in the league. Rafa Mir put the yellows ahead, but Budimir and Railo turned the game around for Mallorca. UD Las Palmas lost their first game this season at the Estadio Gran Canaria on new manager Pepe Mel’s first home match in charge. It is a defeat that hurts, because it puts the brakes on their recent good form. Rafa Mir came in for the injured Sergio Araujo to spearhead the home side’s attack, in an enforced change. Another new face in the line-up was on the left hand side, with Fidel Chávez taking the place of Danny Blum. Mallorca’s fast start was scuppered by Las Palmas with a back-heel goal by Rafa Mir (min. 9). The yellows struck first just at the right time, against a rival who came to the Estadio Gran Canaria with the only objective of winning. Mallorca drew level in the 18th minute through Budimir. The forward was in an offside position when he received the ball, but referee Figueroa Vázquez allowed the goal to stand. Mel’s team was stunned by this equalizer and the away side began to take control of the game, with quick counter attacks. Fernández saved his side from going down 1-2 in the 28th minute, and straight after this away goalkeeper make a superb save from a strike by Momo. The first half was over quickly. Both teams played with great intensity, often leaving themselves exposed at the back. The second half saw Las Palmas pen Mallorca back, but the away side are a good footballing side and it is no coincidence they are fighting for a place in the playoffs. Budimir nearly put his side ahead in the 61st minute, but his angled drive shaved the upright. Las Palmas continued to look to score and they nearly did with a header by Rafa Mir which was blocked by the away goalkeeper. Then Mallorca silenced the home fans with their second goal, in the 76th minute. A free kick was swung in by Salva Sevilla and Railo managed to put the ball beyond the reach of Raúl Fernández. 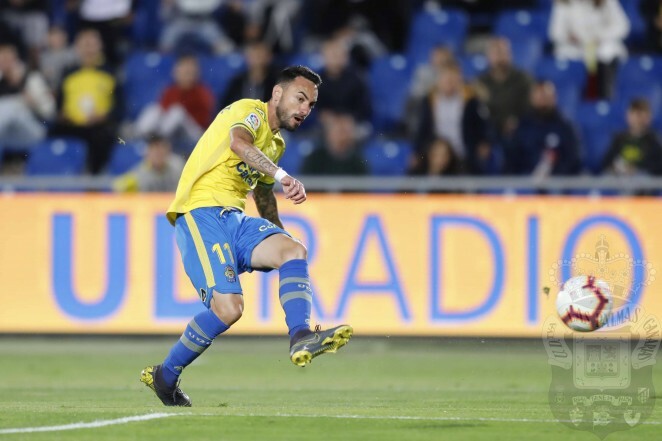 Las Palmas tried desperately to get at least an equalizer, but the final whistle came with the 1-2 scoreline and a defeat for the yellows which moves them further away from a play-off spot. Jorge Figueroa Vázquez awarded Fidel (14'), A. Lemos (79') from UD Las Palmas y Estupiñán (37') from RCD Mallorca.